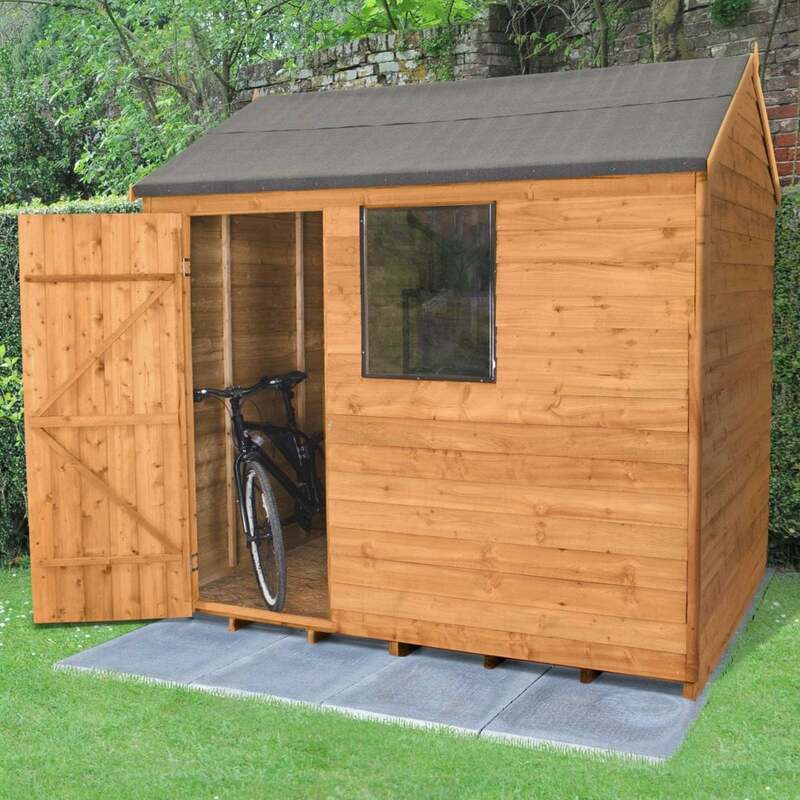 Forest Garden 8 x 6 Overlap Dip Treated Reverse Apex Shed: This Forest Garden dip treated overlap shed is a great sized shed for storing everything that you want to keep secure and dry in the garden. The door is off centre to provide you with a more usable space. The roof is a reverse apex style meaning that the roof ridge runs from left to right rather than front to back with the door and window being in the front side of the shed which is in this case the longer dimension. This shed has a single door that is reinforced with double Z framing and a single window that has polycarbonate glazing that will not break or go brittle over time. This set is the perfect size for a smaller garden or if you need a shed that is wider than it is long owing to the reverse apex design. This shed has an OSB sheet material roof and floor which is very hardwearing. The timber in this garden shed has been sustainably sourced and is FSC certified. The Shed is delivered in easy to manager sections for simple self-assembly.